Ron Arra Rods, Ron Arra Surf Pro Cape Cod, MA Learn From Ron Arra! Increase your distance with far less effort! Ron Arra is a 5-time United States Distance and World Champion, professional surfcasting and fly casting instructor, best selling author, and world renowned angler. Arra is currently an endorsed fishing tackle design consultant and pro staff member for world leading fishing tackle manufacturers, including: Century, Penn Pure Fishing, Aftco, Spiderwire, Berkley Line, Maui Jim Sunglasses, Sampo swivels, and Strike Pro Lures. 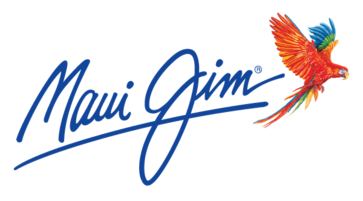 In the past, Arra was involved in the product development team and pro staff for Lamiglas, Abu Garcia, and DuPont Stren Fishing Line. 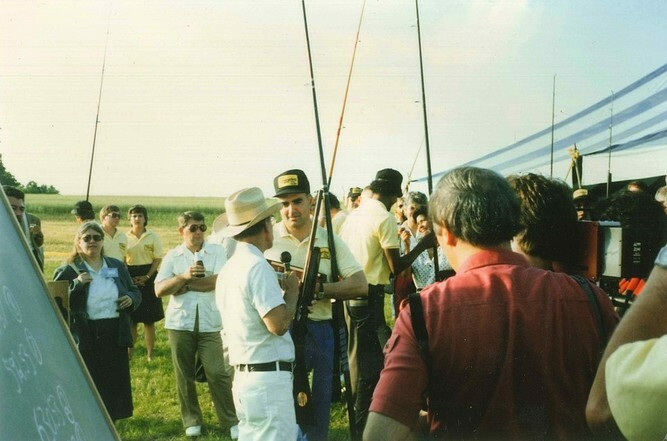 In 1997, Ron contributed to the design of the Lamiglas "Surf Pro" Ron Arra Signature Series rods, which were awarded "Best of Show" at the American Sportfishing Association ICAST Trade Show. 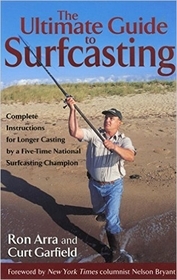 Arra is the author of two best-selling books, "The Ultimate Guide to Surfcasting", and "Power Surfcasting”— published by Globe Pequot Press. Ron’s instructional video entitled "Surf Fishing & Distance Casting” was also critically acclaimed. Ron Arra was the first person in a USA distance casting competition to average 700' + in each cast allowed, during a Sport Cast USA Team, US Open Competition, 1985 Falmouth MA!!! - In 1983 Ron broke the DuPont Stren U.S. Open "Distance Surf Casting" world record with a cast of 212 yards with a 4oz bank sinker and an 11' rod. - New National Record cast of 758.44' in the 1985 USA Sport Cast Tournament. - First person to ever cast across the Cape Cod Canal with a distance of nearly 800'. - In 1985, Ron was recognized by Sports Illustrated for the new United States record, and was presented an engraved silver bowl as part of their long-running segment "Faces in the Crowd." - In 2000, Ron was invited to demonstrate his advanced casting techniques to a highly qualified pool of worldwide outdoor writers at the Outdoor Life Magazine function at the Sandanona country club in Fishkill, NY. In addition to his many speaking engagements and casting demonstrations, at some of the most attended expos in the country, Arra also conducts private distance casting lessons that draw anglers from around the world. Ron Arra's name has been submitted to the International Game Fish Association Fishing Hall Of Fame & Museum’s list of candidates. The name Ron Arra is now a registered US trademark that is being featured on a line of Century Signature Series Surf Rods and Strike Pro lures. As a teenager in his home town of Needham, MA, Ron was awarded the "Outstanding Athlete" trophy two years in a row in Track and Field and was selected by the Boston Red Sox Scouting Program to the starting team, centerfield position at Fenway Park, Boston, MA for the Randolph Hearst New England all star team in 1964. He was one of only 41 players selected from New England for this honor. Ron soon after signed a professional contract and played baseball with the Pittsburgh Pirates organization. After attending the University of Massachusetts - Boston Vocational Technical Education Program, Ron became a Massachusetts Certified Vocational Technical Teacher. As a Master Woodworker, Arra went on to teach woodworking for 22 years at an alternative education program for special needs students and troubled youths. 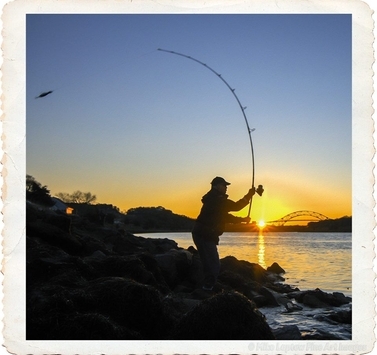 Ron's favorite fishing holes include the Cape Cod Canal and productive beaches in various Cape towns. Striped Bass can be caught off the rocks or in the surf. Seasonally, there are other species in those waters, such as Bluefish, Bonito, Cod, Haddock, Pollock, Scup, Tautog, Black Sea Bass, along with smaller species, such as Herring, Anchovy, Shad, Bunker and Squid. However, Striped Bass rank as the leading coastal salt water fishing target in MA and along the Northeast coast. That is why surf fishing, and more specifically, surf casting is of so much importance. Increased casting distance can help you reach more Stripers sitting in just the right spot. Though sometimes, they are positioned just feet away. Ron Arra is a longtime resident of Cape Cod MA and has been Saltwater and Fresh Water Fishing for 50+ years . Ron enjoys both Surfcasting and Fly Casting for Striped Bass, Blue Fish,False Albacore Trout, and many other game fish. Ron was fortunate to have a Dad that was an avid sportsman who loved to fish and hunt and would take Ron fishing at a very young age, teaching him surf casting and fly casting...miss you Dad! Featuring the Surf Pro Ron Arra Signature Series Surf plugs that Ron originally hand made and then designed for Strike Pro and are now a Cape Cod Canal favorite and top producer of trophy bass. My favorite fishing sunglasses, a must have for any serious angler and I don't leave the house without them! I have been fishing Penn reels for 50+ years. I have complete confidence fishing with Penn. The Century Ron Arra Platinum Pro Surf Signature Series is the ultimate surf casting graphene rod for the ardent angler. They are designed to maximize casting distance with less effort, while also ensuring enhanced fish fighting ability, bite detection, and lure control. The choice of the ardent angler for comfort, durability, and weather. 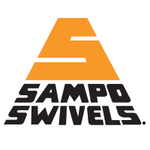 Quality manufacturer of premium fishing attire. Terminal tackle you can trust, even in the Cape Cod Canal.